This one is a classic. I remember years back when I first saw go pro camera I thought that they will fail and no one , I mean no one would like to use it. Boy I was wrong. I bought this few weeks back and I love it. When I go riding my bike I use it , when I drive my cam I use it as dash cam . I was even thinking of using it for making some YouTube videos one day. Great action camera. Thumbs up from me. I was just looking at buying one. Thanks for the review. Do you happen to know of a more cost friendly version? Maybe half the price. @brandy_barnett Yes. I can't add products in comments for some reason. 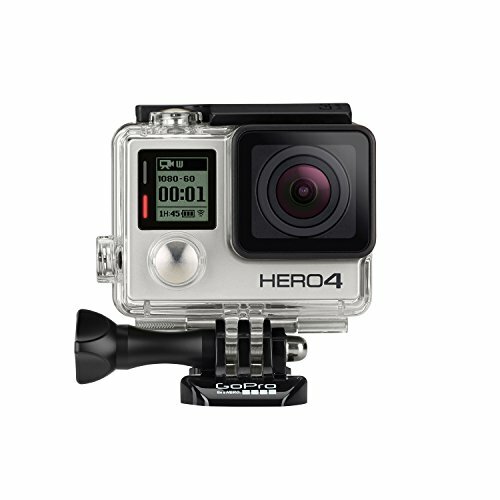 Search for "gopro hero" only . It is black, grey-ish or even "gopro hero+" Great cameras. This is just newer top of the range model. If you want to save more money search for "Xiaomi YI" and "SJCAM SJ5000" , both very good Chinese alternatives. SJCAM has a lot of great features . Friend bought one and I played a little with it and it seems really good.